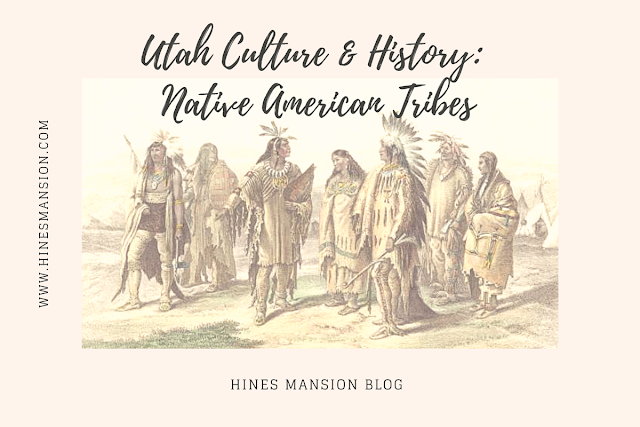 Utah is home to some of the Americas' original Native American tribes and cultures. There are five major tribes that have all maintained their strong legacies. They include the; Dine (Navajo), Goshute, Paiute, Ute, and Shoshone. Since the ancient days, Utah was well known for its sacred places, dwelling sites, and fascinating rock art messages. Utah’s tribes still actively live bound by their ancient cultures. They usually invite visitors from other cultures to view them as they come together during the tribal and other gatherings. 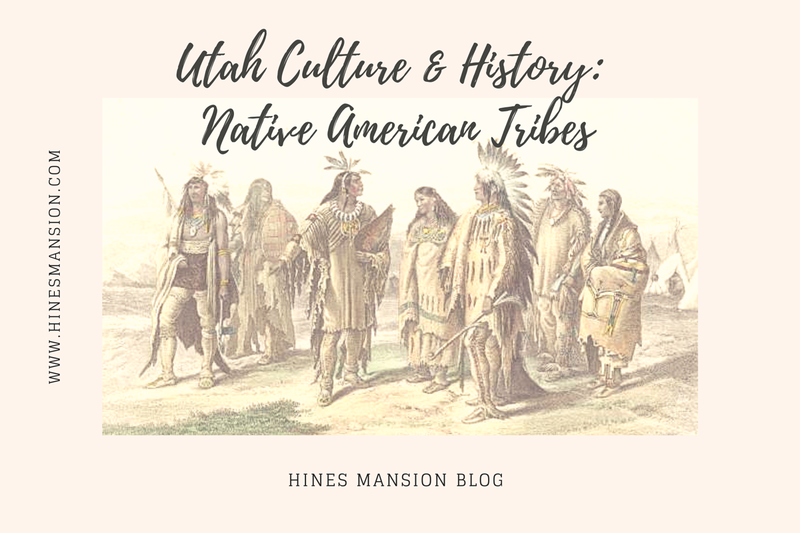 If you are looking forward to viewing some free exhibits of their traditional crafts displays such as beadwork, baskets, and carvings, you can get them on display at the Chase Home Museum of Utah Folk Arts. 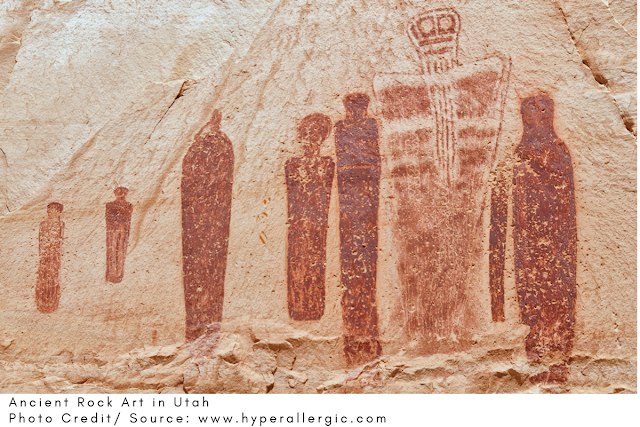 Utah is well known by American culture lovers as a home of intriguing Native American rock art. It comprises two types; the pictographs – painted on stone, and which even after thousands of years still remain colorful, and the petroglyphs – which were incised into stone walls and boulders. Because the exact meanings of the rock arts are still unknown, they have often been assigned to different time frames and cultures based on elements of artistic style. The Native American rock art varies widely, from themes depicting successful hunts, to mythic figures which are considered to represent deities and ceremonial practices. The rock art is also seen to represent other scenes such as domestic life, common and fantastic animals, among other things. The place where the ancient cultures made their homes and resided, often referred to as habitation sites can be quite obvious. For instance, there are granaries which are well preserved – mainly because of their weatherproof positions below the cliffs. In southern Utah, you will find many sites where stone dwellings and places of worship have been well preserved, stabilized, and are interpreted to modern-day visitors. But that is just a mere section of all of it. When you check the Utah Museums page, you will find several other collections and interpretive opportunities scattered in museums statewide. If you are looking forward to spending some quality time in Utah exploring the ancient culture, the local visitor information centers should give you the required head start on getting information related to any specific area of the state. However, keep in mind that all the Native American relics are protected by the federal law, and touching or taking any of them is strictly prohibited. 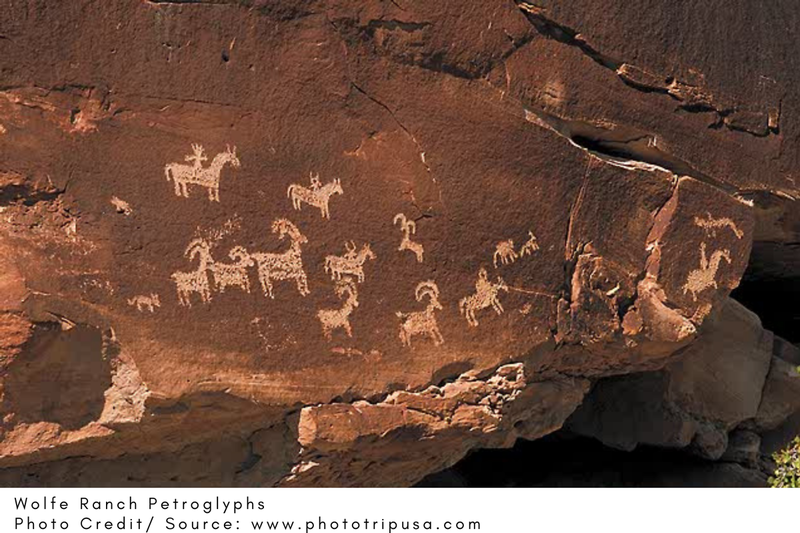 You will find Wolf Ranch in Arches National park which has some of the finest rock art in the region. The Newspaper Rock is filled with a panel consisting of hundreds of figures and designs crafted onto the southwest-facing cliff. The ‘bulletin’ stone board has over 350 distinct ancient petroglyphs dating to more than 800 years ago. A perfect example is the figures riding horses and shooting arrows – which are considered a portrayal of Ute Indians who obtained horses in the 1600s. There are also other more recent images attributed to the Ute culture which date from the 19th Century. The BLM administered site is on State Route 211, and you can easily access it from US 191. Another place of interest is the Edge Of The Cedars State Park and Museum in Blanding. 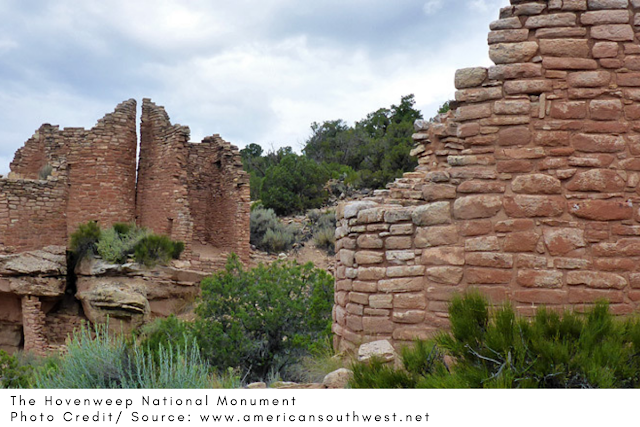 It interprets the remnants of the ancient Puebloan village with its ceremonial kivas dating between 700 and 1220 A.D. The park strongly showcases the Indian civilization, its transition, and how it flourished in southeastern Utah. The museum houses a collection consisting of various ancient artifacts and pottery – which makes it the regional archaeological repository for southeast Utah. More remnants of Pueblo culture dating between 300 A.D and 1300 A.D. may be seen on the Trail of the Ancients, which is a 100-mile loop route in the southwest of Blanding. Grand Gulch Primitive area, accessible via south of the junction of state routes 261 and 95 is another sighting containing hundreds of cliff dwellings. The BLM, however, requires visitors to obtain a permit before being allowed into the rugged area. The area is only accessible on horseback and through hiking trails. The Hovenweep National Monument near the Colorado border offers visitors solitude as they get to enjoy the sightings consisting of ancient fortress and tower ruins. There are five prehistoric rock art panels near the town of Bluff which are shown on the Bluff walking tour map. Monument Valley was set aside as a Navajo Tribal Park in 1959. The park is a repository for Navajo archeology, Navajo arts, and crafts. A simple self-guided scenic drive will give you an overview of the park’s most famous formations. If you are looking forward to an in-depth exploration into the Tribal Park, you will require to hire a Navajo Guide at the visitor center. 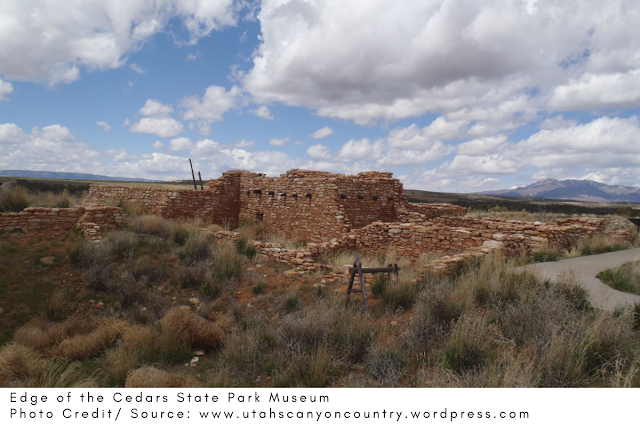 A trip toward the southwestern side of Utah will lead you to Ansazi State Park and Museum – where you will get to see a preserved ancient village of one of the largest Ansazi communities. Although the village remains largely unexcavated, there are many artifacts that have been uncovered and are on display in the museum. There’s even a life-size, six room replica of an Answanzi dwelling which gives the visitors a perfect idea of how life was almost a thousand years back. Also in southwest Utah, there are more petroglyph sites in BLM-administered Parowan Gap, 10 miles northwest of Parowan and Johnson Canyon, 9 miles east of Kanab. You can also find pictographs at Sand Springs, 20 miles northwest of Kanab. There’s the Range Creek Canyon that shelters pristine Fremont Indian rock art and ruins in the rugged Book Cliffs. The federal government purchased the area in the year 2004, and it is now open to limited public visitation. Little is known about the Fremont people and archeologists are still actively studying the place in order to piece together the mystery of their culture. At Dinosaur National Monument, there are more rock sites. Although some are quite obvious, there are others that require both maps and a willingness to hike. Dry Fork Canyon is on the lower portion of the Red Cloud Loop north of Vernal and has some of America’s most impressive petroglyph panels. If you decide to tour these sides, Nine Mile Canyon, a BLM national Scenic Backway is a place you should not miss. The Canyon walls are covered with petroglyphs and pictographs, and will no doubt leave you with one of the best experiences. You should, however, take time to pick up a copy of a detailed self-guide brochure before you embark on this trip. There’s the Fremont Indian State Park and museum located at the Hw 89/I-70 junction which is 24 miles southwest of Richfield. It has a wide collection of Fremont Indian artifacts from nearby Five Fingers Hill. Follow the short, maintained trails and they will lead you past several impressive panels of rock art figures. The interpretive center focuses on the evolution of Fremont Indian Cultures between 500 A.D and 1300 A.D. It's not much of a tour, but you will be impressed by the rock art created by members of Fremont Culture which was found on the Islands of the Great Salt Lake, and other areas of northwestern Utah’s Deserts.